Audit « The SQL Dude! 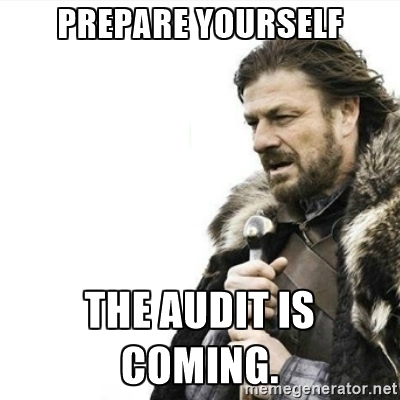 I’ve been involved in a lot of IT security audits, many times due to legislative requirements. A few good examples of these are PCI, SOX, HIPAA, GLBA audits. Each of these US legislative acts have a set of defined security standards & configurations that organizations have to adhere to. Audits for these systems happen both internally and externally to ensure the company is compliant to these standards and any remediation’s are acted upon. While each of these compliance regulations are very-well documented (especially PCI DSS), you must follow certain best practices or standards for any DBMS system, irrespective of the requirements. In today’s world, data leaks are becoming increasing prevalent and within the DB world, it is very essential to adhere to strict & enforceable data security practices. All that said, coming to SQL Server security good practices, I’ve listed what I feel are the bare-minimum security checks that need to be performed. You can add stuff to this, but in my view these are essential and non-negotiable settings that you must check as a DBA. I’ll probably share some scripts & code to monitor these setting centrally in an automated way, in another post. This post is to list down and share these settings so that you are aware of the various things to consider when looking at SQL Server Security Hardening & Audits. 4. BUILTIN Admins present as a login? 7. [NT AUTHORITY\ANONYMOUS LOGON] must be removed. 5. SQL Browser Service Disabled? 4. Cross database ownership chaining Disabled? 1. Are all the security bulletin patches for known vulnerabilities applied on your SQL Server instance. (Refer to https://technet.microsoft.com/en-us/security/bulletins.aspx and filter on your specific version & patch level to get the list of known security patches available). 1. Access Control mechanisms in place for Sensitive/PII Data? 2. Access Control mechanisms in place for Regulatory Data? 3. SQL Server Audit enabled to track permissions/role/users changes to compliance data? 1. SA Login checks. Is anyone trying to login by brute-force using the SA account? That’s all for now. I’ll continue this in another post with some sample code to help you through all these items. Until then, stay safe and may the force be with you.